I’ll be honest. 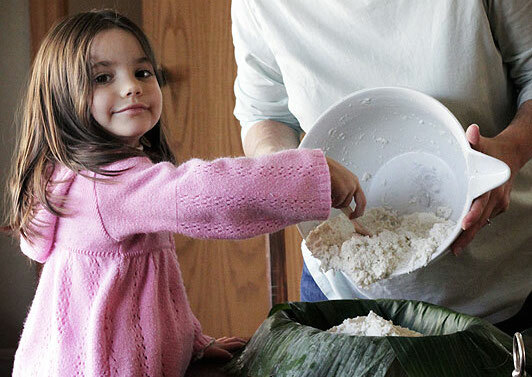 On the onset, learning how to make Mole Poblano sounded a lot like learning how to knit a wedding dress. Outrageously epic, but not entirely something I had the skills for. In case you’ve never heard of it, we’re talking a Mexican recipe from Puebla that has a million, gazillion ingredients (ok, really just about two dozen), many cooking phases, and centuries of history behind it. 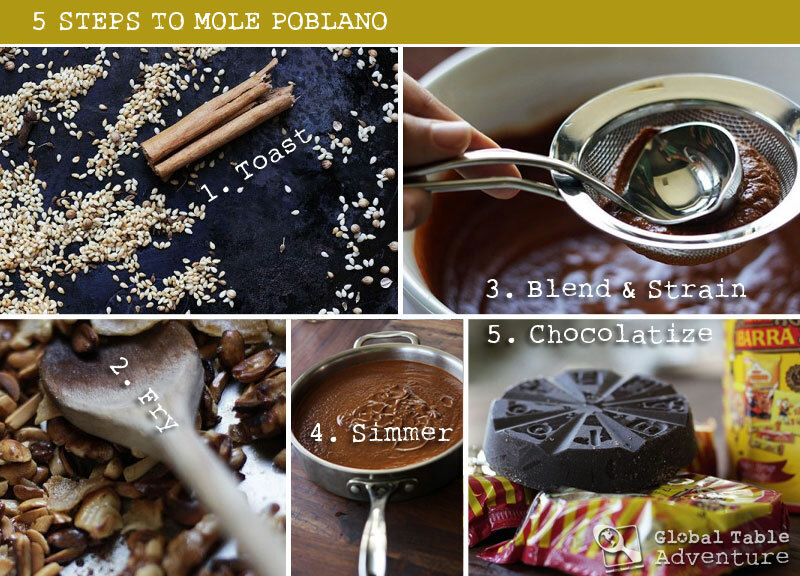 After staring at dozens of recipes, drinking several cups of tea, and more than a little sleep lost, I broke mole poblano down into 5 basic steps. Deep sigh. Smile. This feels better. So, my goal today, is to make you Mole happy. To encourage you to give it a try. Because if you do, you’ll be in Mexico with every bite. 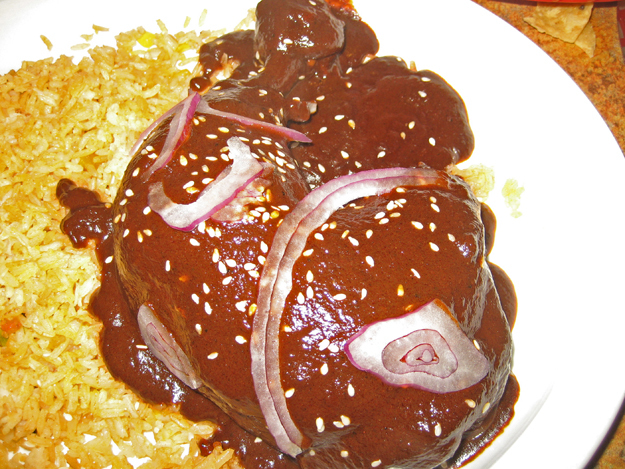 NOTE: This Mole Poblano is vegan, although you can serve it on whatever you’d like – veggies, meats, etc. Traditionally it is served with turkey and made with turkey stock. I’m going to help you all the way through this thing, step by step. Hold on to your life vest. And a goblet of wine. Cook each of the “toasting” ingredients over medium-high in an ungreased comal or skillet (do not use nonstick). Do this in batches, starting with the spices (sesame seeds, cinnamon stick, anise seed, coriander seed, and whole cloves). They typically take less than a minute. Once cooled, grind the spices in a spice mill or mortar and pestle along with the oregano and thyme. Continue the toasting with the dried chili peppers and raisins. You want the chili peppers to char and even release a bit of smoke. When done cover them with boiling water and let soak about 30 minutes. 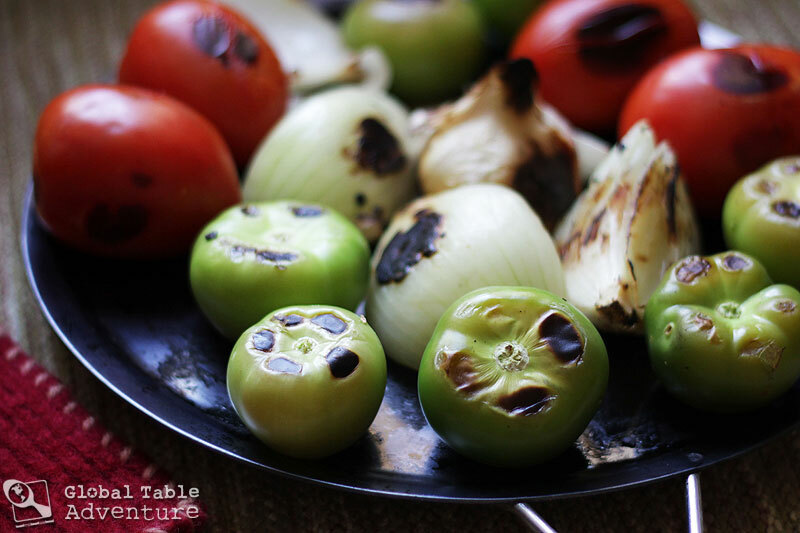 Next, work on toasting the onion, garlic, tomatillos and tomatoes. Turn the ingredients often and remove them when needed – some will cook quicker than others. (Don’t forget to peel the garlic once cooled to the touch). The goal is to get all ingredients charred and delicious. … and so are you! Now, heat up the oil in a large skillet or pot and fry the nuts and corn tortilla until deeply browned. Ideally use the same pot/skillet you’ll use to cook the mole in later. 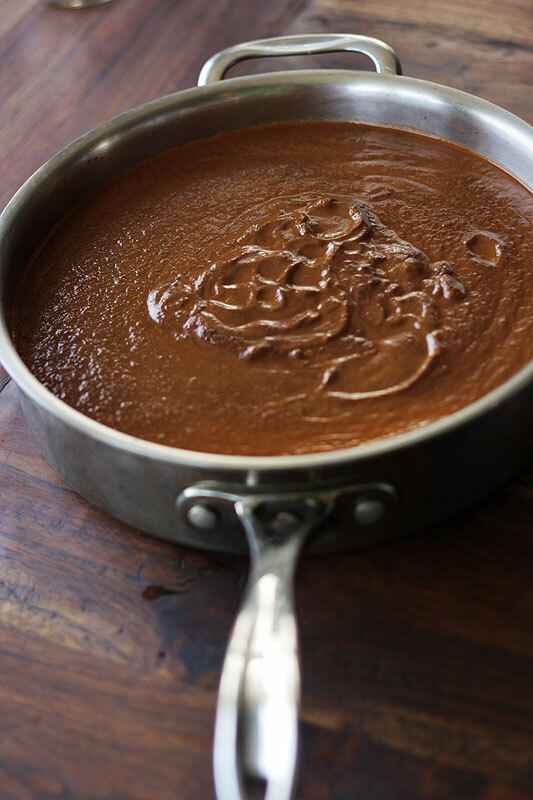 Do not rinse pan – that nutty oil will add great flavor to the mole. You’ll want to blend this sauce in batches, because there isn’t room for all this goodness in a standard blender. First Blending: remove the chili peppers and raisins from the soaking liquid and add to your blender along with a 1/2 cup of the soaking liquid. Puree as smooth as possible. Second Blending: (no need to rinse the blender) blend all the toasted and fried ingredients along with 2 cups of chicken stock. Blend until very smooth, scraping as needed. Press through a strainer with the back of a ladle. Friends, we’re in the home stretch. This is the part where you get to sneak a taste and a second goblet of wine. Because this step is easy, peasy: gently simmer the mole sauce in the same skillet as you toasted the nuts. Cook this way for at least 20-30 minutes. Some recipes cook it for several hours (in which case you’d need to thin it with some stock, as needed). I’ll leave that up to you and your goblet of wine. Hello. 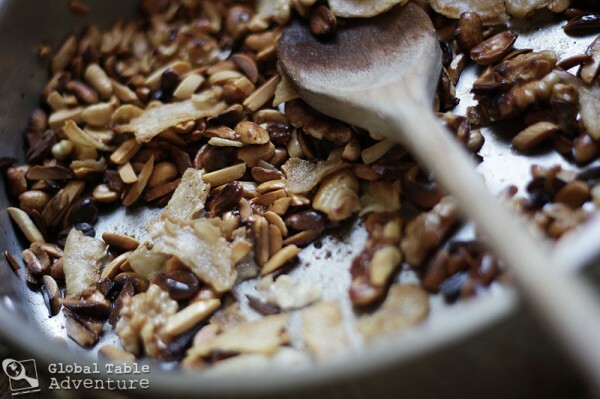 Every recipe should have this step. In the last 10 minutes of cooking, stir in the chocolate. Let dissolve completely. Season with salt, as needed. Now the fun part – you can use this Mole on just about anything (be sure to freeze leftovers in 1-2 cup portions for future meals). You may need a little extra stock to thin it for use, if desired. 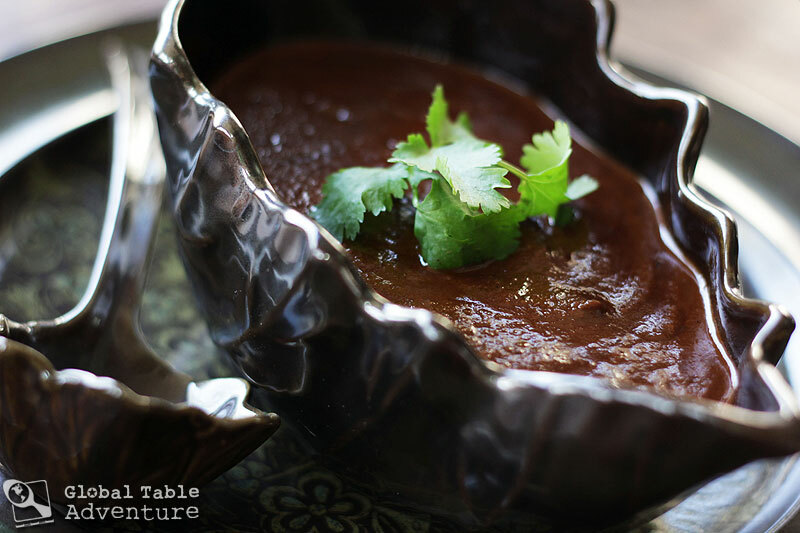 Pour 1 cup of mole over 1 lb of boneless skinless chicken thighs or turkey in your crock pot. Cook on low all afternoon, until tender. You can also just make this in a covered saucepan, simmered for about 45 minutes (cooking time may be increased for turkey and other large cuts of meat). Warm up corn tortillas on an ungreased comal or in the microwave until tender and easy to roll up (without cracking). 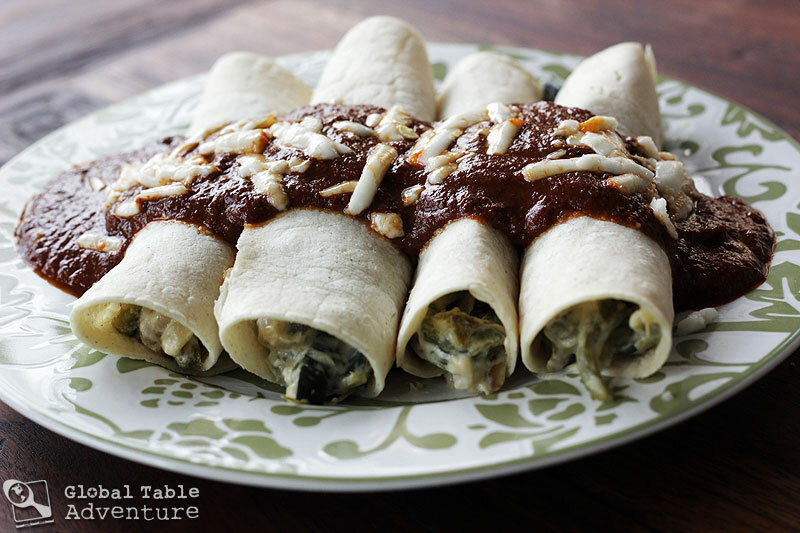 Fill with cheese, rajas con crema (recipe will be up soon), or the crockpot chicken. Place on a plate. Pour the hot mole over the top and sprinkle with cheese. I found a cheese called “chincho enchilado” at the Latino market that was perfect. 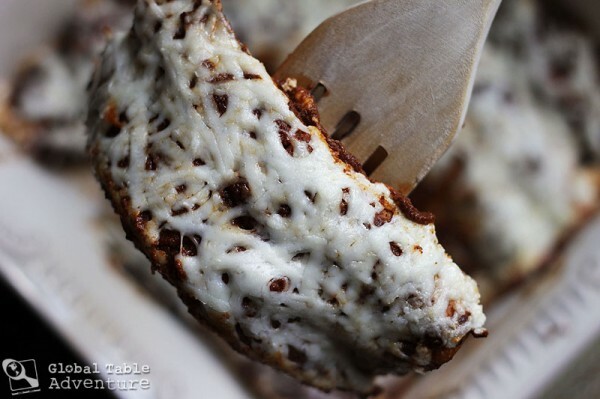 Repeat the same steps as for the quick enchiladas, except layer them in a casserole, smother with mole sauce and cheese, and bake at 350F until the cheese is melted and slightly browning. Ava can help you cut them, if you’d like! She’s been working on her skills. Mexico is at your fingertips! Enjoy with a view. Something unexpected. 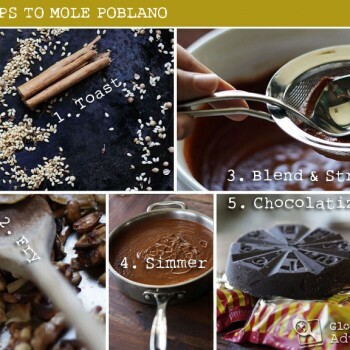 After staring at dozens of recipes, drinking several cups of tea, and more than a little sleep lost, I broke mole poblano down into 5 basic steps. Deep sigh. Smile. This feels better. Five steps are manageable. So, my goal today, is to make you Mole happy. To encourage you to give it a try. 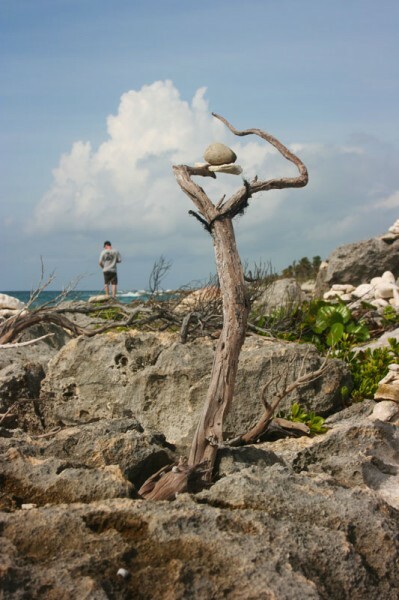 Because if you do, you’ll be in Mexico with every bite. Cook each of the “toasting” ingredients over medium-high in an ungreased comal or skillet (do not use nonstick). 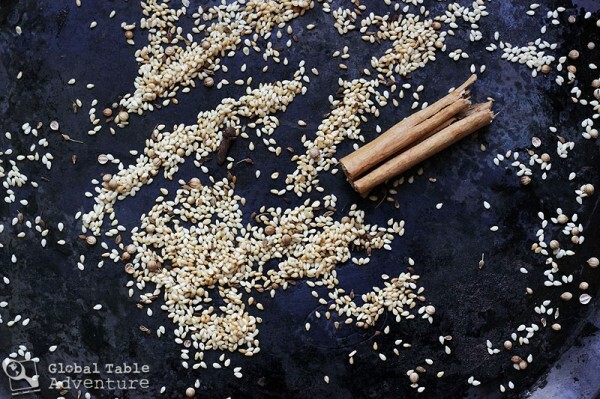 Do this in batches, starting with the spices (sesame seeds, cinnamon stick, anise seed, coriander seed, and whole cloves). They typically take less than a minute.The house will fill up with the smell of “amazing.” Once cooled, grind the spices in a spice mill or mortar and pestle along with the oregano and thyme.Continue the toasting with the dried chili peppers and raisins. You want the chili peppers to char and even release a bit of smoke. When done cover them with boiling water and let soak about 30 minutes.Next, work on toasting the onion, garlic, tomatillos and tomatoes. Turn the ingredients often and remove them when needed – some will cook quicker than others. (Don’t forget to peel the garlic once cooled to the touch).The goal is to get all ingredients charred and delicious. You’ll want to blend this sauce in batches, because there isn’t room for all this goodness in a standard blender.First Blending: remove the chili peppers and raisins from the soaking liquid and add to your blender along with a 1/2 cup of the soaking liquid. Puree as smooth as possible.Second Blending: (no need to rinse the blender) blend all the toasted and fried ingredients along with 2 cups of chicken stock. 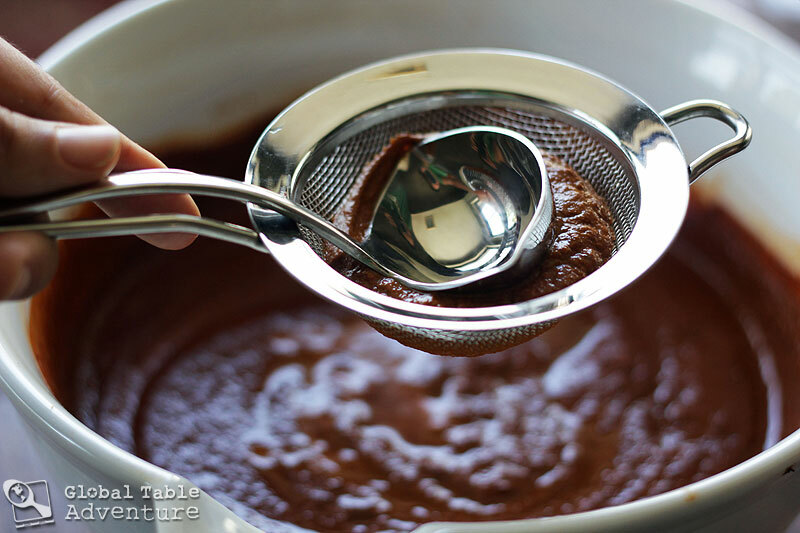 Blend until very smooth, scraping as needed.Press through a strainer with the back of a ladle. Gently simmer the mole sauce in the same skillet as you toasted the nuts. Cook this way for at least 20-30 minutes. Some recipes cook it for several hours (in which case you’d need to thin it with some stock, as needed). In the last 10 minutes of cooking, stir in the chocolate. Let dissolve completely. Season with salt, as needed. That’s all there is to it. Crock Pot MolePour 1 cup of mole over 1 lb of boneless skinless chicken thighs or turkey in your crock pot. Cook on low all afternoon, until tender. You can also just make this in a covered saucepan, simmered for about 45 minutes (cooking time may be increased for turkey and other large cuts of meat). Quick EnchiladasWarm up corn tortillas on an ungreased comal or in the microwave until tender and easy to roll up (without cracking). Fill with cheese, rajas con crema (recipe will be up soon), or the crockpot chicken. Place on a plate. Pour the hot mole over the top and sprinkle with cheese. I found a cheese called “chincho enchilado” at the Latino market that was perfect. Messy (authentic) EnchiladasRepeat the same steps as for the quick enchiladas, except layer them in a casserole, smother with mole sauce and cheese, and bake at 350F until the cheese is melted and slightly browning. 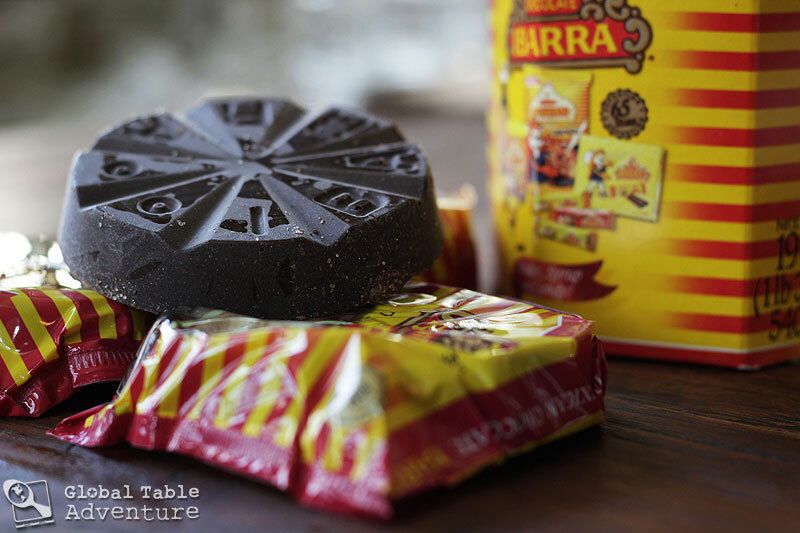 Table chocolate is a sweetened, grainy bar of chocolate found at Hispanic markets and most often used to make hot chocolate. 1) How long did the whole process take you from start to finish? 2) Are Ava and Keith wearing the same shirt? That’s adorable. 1. Hmm, taking pictures really slowed me down… but removing the time for doing that, I’d guess I spent about 30 minutes toasting everything, just about 5 minutes frying the nuts etc, 15 to blend and strain, 45 minutes simmering it. First off, love the site, and I can’t count the number of recipes I want to try. How obvious is the chocolate in this recipe? *I* love chocolate, but my husband hates it enough he tells people he’s allergic. I could smell the ingredients as I was reading. That’s an extremely rare thing! You have me convinced I need to make this (one day, when I have a lot of time). 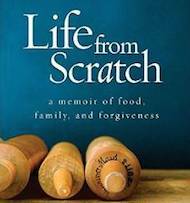 I usually skip over those recipes in cookbooks, thinking it’s too much bother. Do all moles have nuts/sesame seeds? And, if yes, do you think that a nut-free version would still produce good results? Just thinking about my Little A with all his allergies. Wondering if any seeds would be a good replacement for the nuts. Maybe sunflower seeds? What do you think? Can he eat pumpkin seeds? That is a popular addition… (look at the related posts for the “pepian” sauce to see a recipe that uses them. I hope that can work for you! You can just swap out the nuts in this recipe for those. The flavor will be different, of course, but still good! This sounds/looks delicious. Since it makes a lot, do you think it will freeze well? Thanks! Absolutely! Freeze in 1 cup batches for small dinners (2-4), and 2 cup portions when feeding bigger groups. This should be published in a national magazine. 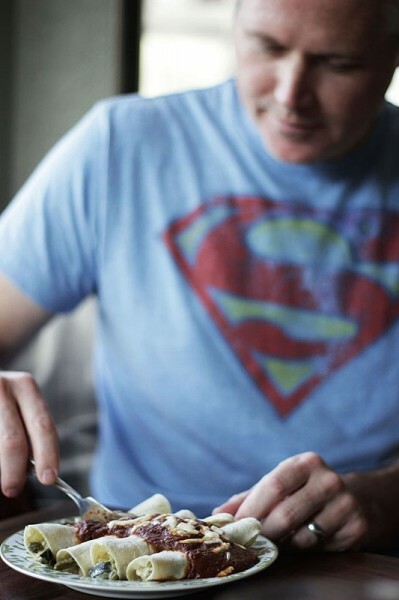 Thank you, Brian… the process was delicious. I’d gladly do it again. Mole is incredible. Did you see the Top Chef: Masters season with Rick Bayless? It was unusual because most of the competitors were world-famous, and the judges too were the cream of the crop. They knew just about everything about French food of course, and world cuisine too; they could talk for hours about what makes a good Indonesian Beef Rendang. But about Mexican food they had a blind spot. They thought that all it was was a big burrito with lots of gooey melted cheese on top. In the final contest, Bayless cooked an Oaxacan mole a lot like Mole Poblano. The judges were blown away by its complexity, sophistication and deliciousness. They awarded him the top prize even though his other dishes were mediocre. Let me reproduce what I wrote about Mole earlier, just for people who came to this recipe via google. I don’t think there is any doubt that Mexican cuisine is the most complex and sophisticated in the New World. (Sorry, Peru!) 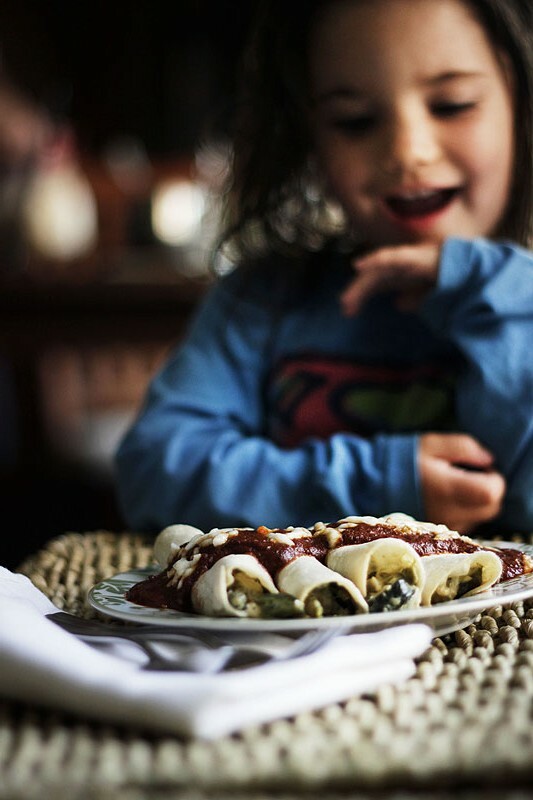 Many of the dishes date back to pre-Columbian times, and their startling blend of flavors seem like relics of an ancient, long-forgotten and inscrutably alien civilization. 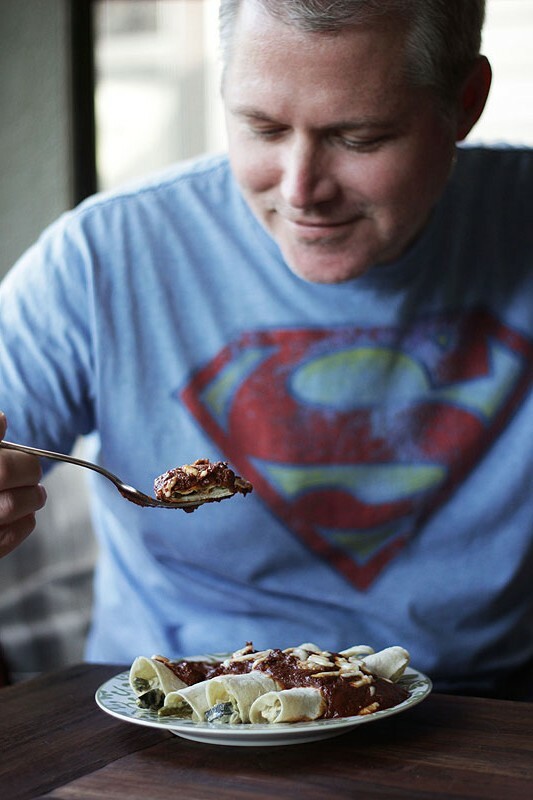 And the pinnacle, the absolute apex of Mexican cuisine is Mole Poblano! Thank you for simplifying the process from the usual arduous task into something manageable and less daunting! So fun to read the comments from all your readers, too! This is a fantastic article and the photos are beautiful. Thank you so much for putting this together. 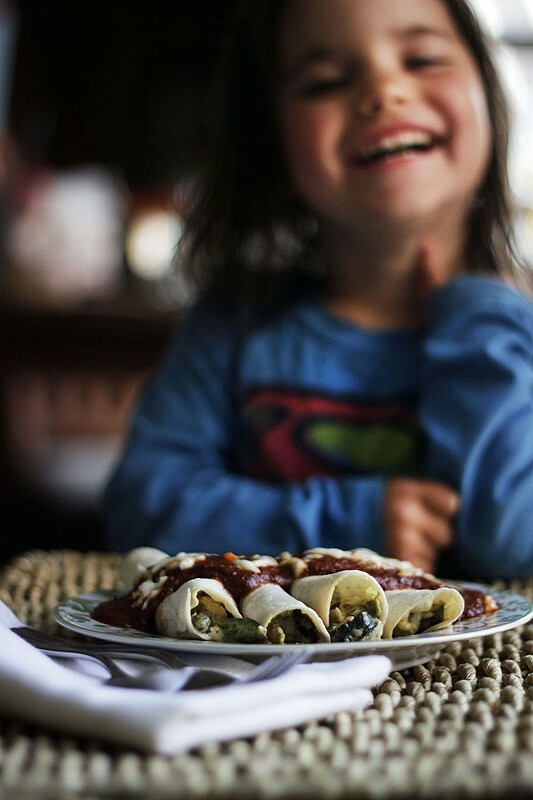 I think it is amazing that you made your own mole poblano. It looks delicious, and it seriously helped erase some of the fear factor I had. I think I just may try it now. I just made this for dinner and OHMYGOSH yum! I tripled the recipe because my friend bought 3x the tomatillos and I wanted to freeze enough to last all summer. It was a monumental task, but it turned out delicious! I will probably make it an annual event- maybe canning enough in the fall to last the whole year. My version was a little bitter, but that’s because I was warding off a 5-year-old with a worm while I was frying the nuts. I ended up burning some of them. I’m the only one who noticed. 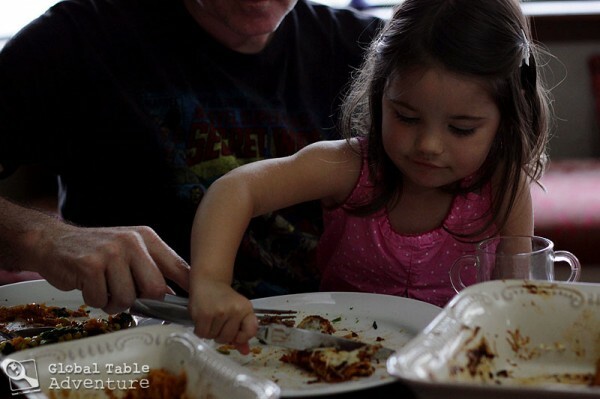 Even the said 5-year-old ate second helpings! I have a technique question: how would I make it with fresh peppers if I can find/grow them? Would I char them raw and omit the soaking? Or do you think using the dried version is essential to the richness of the flavor? Although it’s weeks later, thank you for tackling this biggie! It’s definitely going to expand and enrich our standard meals. Yay!! 🙂 Thanks for reporting back – I’m so excited for you – and tripled, wow! As for the fresh peppers – I don’t think this would work/taste the same. You can probably dry your peppers yourself (I bet there are books and web sites that can help with this), so there is hope 🙂 Good luck and happy stove top travels to you! 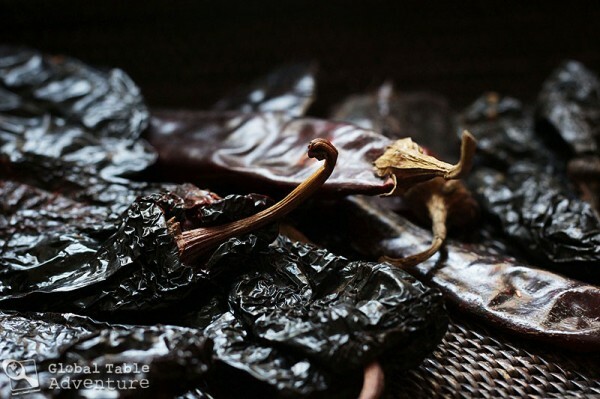 What is the difference between the pasilla chile and the ancho? I had thought that the ancho was the dried version of the pasilla, but after reading this, it seems like they are both supposed to be dried? you’re in point of fact a good webmaster. The website loading speed is amazing. It kind of feels that you are doing any unique trick. Also, The contents are masterwork. you’ve done a excellent activity on this topic! I just recently made a Mole Puebla using the dried ancho chiles (these fresh are poblano peppers); also the dried guajillo & dried pasilla chiles. Since I make 1 1/2 gallons there were a few pounds of chiles involved. I don’t see any reference to slitting each chile (wearing disposable gloves of course) to remove the seeds & part of the membrane where all the heat of the chile lies. If you can handle the heat leave all the seeds in. It is a bit laborious but after placing them in a 500° oven for no more than 2 minutes, your place smells amazing! This technique (learned from Chef Aaron Sanchez) is much quicker than using a cast iron pan. Wow, I can’t belive you actually did mole. It takes a lot of preparation but it’s delicious. I prepared it on my birthday this year for the first time, I mean, I’m mexican, I had to do it. My grandma used to make it for her sons and grandsons on their birthday, but she’s not with us anymore, so I decided I should do it for myself instead. It came out really delicious, though not as great as my grandma’s, I guess it’s the experience she had. P.D. I just finished your book and I loved it. Thanks for sharing your life, your experiences, really. 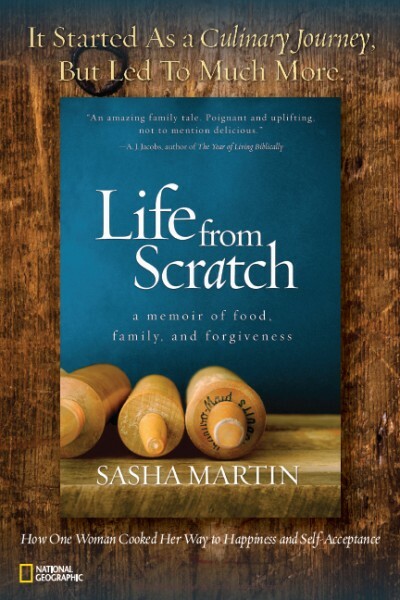 I’m such a shy person with insecurity issues and reading your book gave me hope and left me great teachings.